Our mission it to help founders of bootstrapped companies be more successful. So, we scour the web looking for the best books, articles, podcasts, and videos about how to get big results on a modest budget. 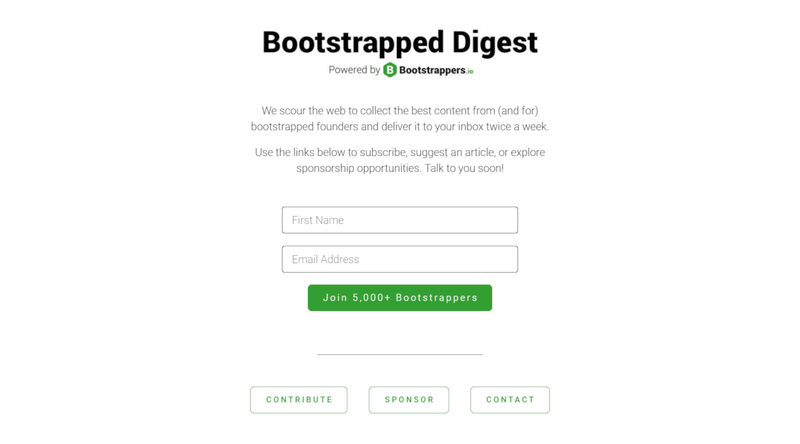 We keep the best material and package it up in a weekly digest that is sent to over 4,000 bootstrappers.